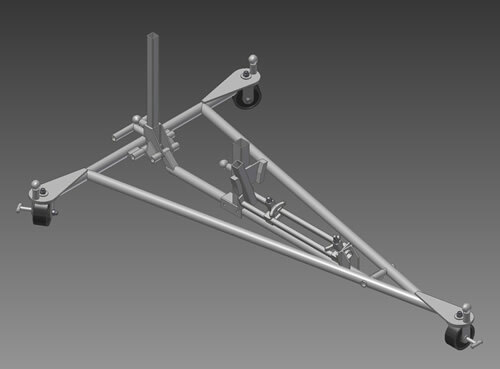 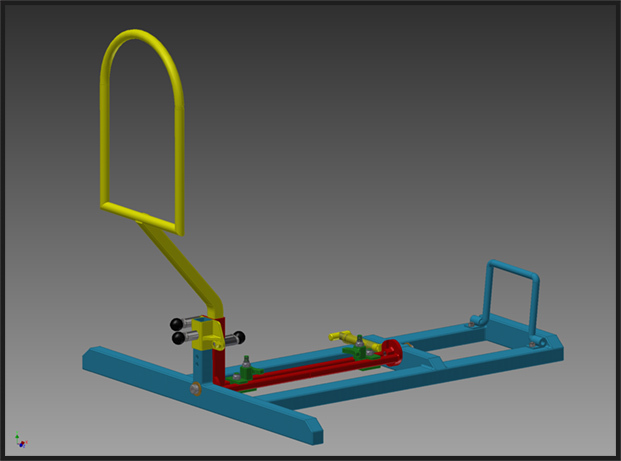 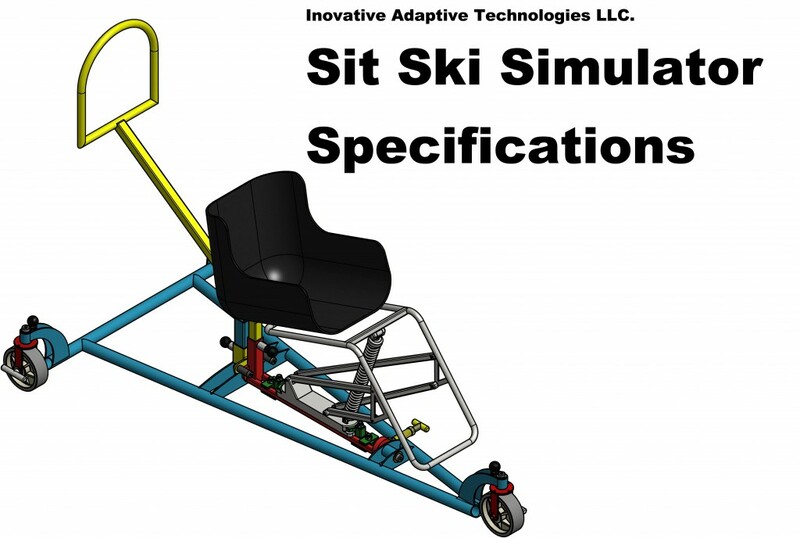 The picture above is the latest model of the sit ski simulator, custom build to work on the carren Simulator at the Walter Reed VA hospital We are very proud of this project and looking forward to setting it up in the hospital in late june 2014. 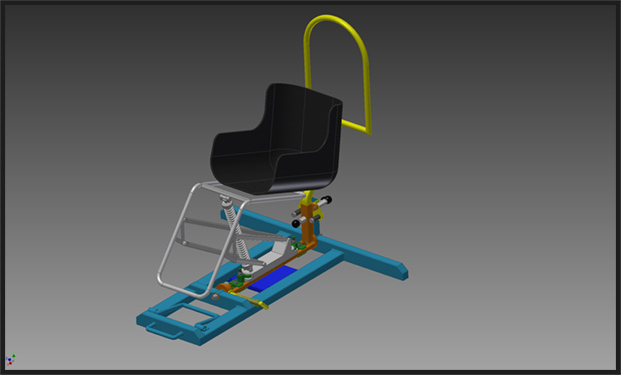 To create new equipment for people with disabilities to enhance their quality of life. 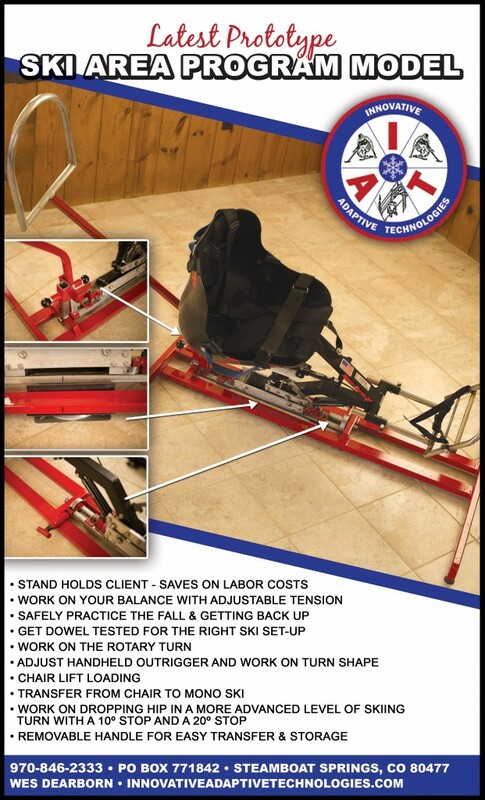 To safely introduce the sport of monoskiing to anyone. 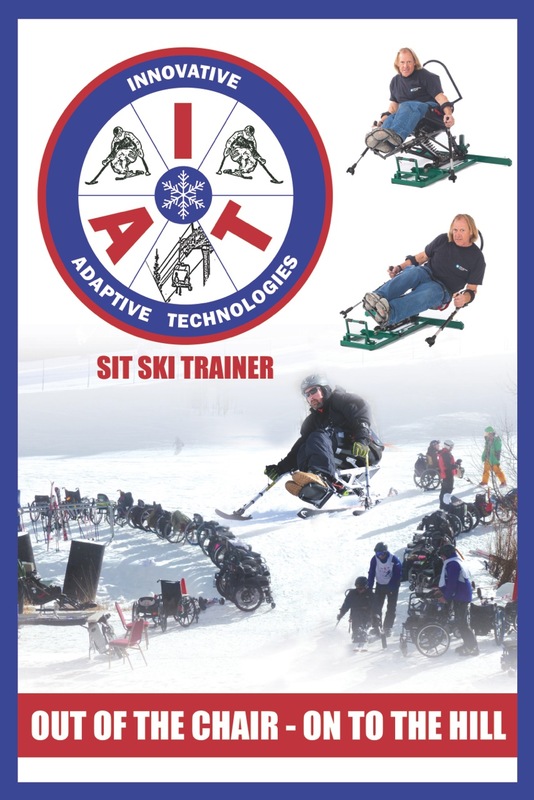 To build confidence and be able to try it out at home or rehab centers or an adaptive ski school program before hitting the slopes. 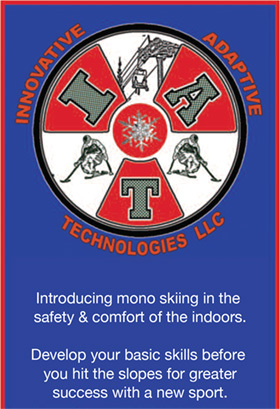 To encourage more people to try monoskiing and succeed with greater success and prevent injuries while learning.